Our product range includes a wide range of insulating rubber mats. 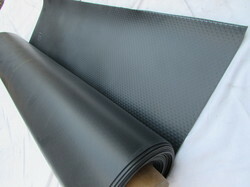 We are among the eminent names in the industry for manufacturing and supplying Insulating Rubber Mats. The offered Insulating Rubber Mats are applied on floorings below the electrical panels for protecting the workers from leakage of electric current. It is exceptional in terms of quality and is available in a wide range of technical specifications owing to our innovative tools and techniques. 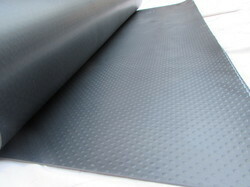 We are among the eminent names in the industry for manufacturing and supplying Insulating Rubber Mats. The offered Insulating Rubber Mat is applied on floorings below the electrical panels for protecting the workers from leakage of electric current. It is exceptional in terms of quality and is available in a wide range of technical specifications owing to our innovative tools and techniques.